Rene Tosoni (Coquitlam, BC) of the Sugar Land Skeeters. Rene Tosoni (Coquitlam, BC) of the Sugar Land Skeeters led all Canucks with hits in the final week of the regular season. Tosoni, former Futures Games MVP and Minnesota Twins major leaguer, is with Sugar Land, Tex. of the independent Atlantic League. If you are like us you didn’t know the Houston suburb of Sugar Land was that close to the Atlantic Ocean. It was a light final week to the regular season as Mike Blanke (Granby, Que.) hit .385 (5-for-13) with a pair of RBIs, while Tosoni hit .364 (8-for-22) with a pair of RBIs. 88 Canadians who are active (or have been) on minor league rosters of affiliated major-league teams this season. Another 44 are playing independent ball and 19 are playing in foreign lands bringing the weekly total to 150 Canadians who have appeared in at least one game. The numbers add up to 150 active players, the actual number is 147 because three players (Andrew Albers, Jon Fitzsimmons and Maxx Tissenbaum) has been active at two different levels this season. R-Player is injured, on a re-hab assignment or is on the disabled list. X-Player has been released, retired or moved elsewhere in the organization. Statistical data included below reflects all games played up to and including Tuesday, Sept. 13, 2016. LHP Adam Loewen, Surrey, BC (4-3, 4.03) Triple A, Reno Aces. SS Sean Jamieson, Simcoe, Ont. (.244, 1, 18) Triple A, Reno Aces. LHP Ethan Elias, Entwhistle, Alta. (0-0, 15.00) Single A, Hillsboro Hops; (1-0, 4.91) Rookie-Class Arizona Diamondbacks; (5-4, 5.53) Single A, Visalia Rawhide; . RHP Curtis Taylor, Port Coquitlam, BC (1-0, 2.76, three saves) Single A, Hillsboro Hops. RHP Jake Polancic, Abbotsford, BC (0-0, 0.00) Single-A Hillsboro Hops; (0-2, 4.50) Rookie, AZL Diamondbacks. C Andrew Yerzy, Toronto, Ont. (.250, 0, 1) Rookie Class Missoula Osprey; (.196, 1, 15) Rookie Class, AZL Diamondbacks. .
1B Luke Van Rycheghem, Kent Bridge, Ont. (.226, 0, 2) Rookie Class, AZL Diamondbacks. X-C George Kottaras, Markham, Ont. (.196, 1, 8) Triple A, Gwinnett Braves; (.155, 1, 6) Triple A, Sacramento River Cats. RHP Michael Soroka, Calgary, Alta. (9-9, 3.02) Single A, Rome Braves. X-Sean Ratcliffe, Ajax, Ont. (0-0, 9.00) Rookie Class, Danville Braves. LHP Travis Seabrooke, Peterborough, Ont. (2-7, 3.53) Single A Aberdeen Ironbirds. C Chris Shaw, Winnipeg, Man. (.133, 2, 8) Single A, Aberdeen Ironbirds. OF Tristan Graham, North Vancouver, BC (.230, 1, 26) Rookie Class, Gulf Coast Orioles. C Jordan Procyshen, Calgary, Alta. (.249, 4, 29) Single A, Salem Red Sox. LHP Rob Zastryzny, Edmonton, Alta. (7-3, 4.33) Triple A Iowa Cubs; (3-2, 3.79) Double A, Tennessee Smokies. 3B Jesse Hodges, Victoria, BC (.186, 1, 11) Single-A Myrtle Beach; (.287, 0, 21) Single A, South Bend Cubs. LHP Ryan Kellogg, Whitby, Ont. (9-7, 3.03) Single A, South Bend Cubs. OF Michael Foster, Pickering, Ont. (.180, 0, 5) Single A Eugene Emeralds. R-INF Brett Lawrie, Langley, BC (.313, 0, 0) Double-A Birmingham Barons. R-1B Justin Morneau, New Westminster, BC (.333, 0, 0) Double-A Birmingham Barons; (.118, 0, 1) Triple A, Charlotte Knights. X-RHP Phillippe Aumont, Gatineau, Que. (0-2, 12.27) Triple A Charlotte Knights. RHP Colin Kleven, Kamloops, BC (0-3, 5.29) Double-A Birmingham Barons; (1-2, two saves, 5.35) Single A, Winston Salem Dash. OF Miles Gordon, Oakville, Ont. (.262, 0, 11) Rookie Class, Billings Mustangs. RHP Alex Webb, Surrey, BC (1-2, 4.15) class-A Dayton Dragons; (4-0, 0.79) Rookie Class, Billings Mustangs. C Morgan Lofstrom, Kelowna, BC (.197, 1, 8) Rookie-Class Billings Mustangs; (.265, 1, 3) Rookie Class, AZL Reds. LHP Isaac Anesty, Guelph, Ont. (3-1, 6.20) Rookie Class, AZL Reds. INF J.D. Salmon-Williams, Brampton, Ont. (.272, 2, 10) Rookie Class, AZL Reds. RHP Darren Shred, Brampton, Ont. (2-2, one save, 5.09) Rookie Class AZL Reds. 1B Bruce Yari, Waterloo, Ont. (.270, 1, 17) Rookie Class, AZL Reds. RHP Devon Stewart, Maple Ridge, BC (1-1, one save, 8.10) Class-A Lake County Captains; (0-3, 4.30) Single A Mahoning Valley Scrappers. RHP Jon Fitzsimmons, London, Ont. (1-0, 3.31) Single A, Lake County Captains. RHP Dustin Molleken, Regina, Sask. (2-4, 3.58, one save) Triple A, Toledo Mud Hens. OF Cole Bauml, Meunster, Sask. (.274, 3, 36) Single A Connecticut Tigers. 2B Daniel Pinero, Toronto, Ont. (.261, 0, 16) Single A, Connecticut Tigers; (.333, 2, 6) Rookie Class, Gulf Coast Tigers - West. OF Jacob Robson, Windsor, Ont. (.316, 1, 4) Single-A Connecticut Tigers; (.267, 0, 5) Rookie Class, Gulf Coast Tigers - West. LHP Evan Grills, Whitby, Ont. (1-2, 2.55) Triple-A Fresno Grizzlies; (5-5, 1 Save, 3.99) Double A Corpus Christi Hooks; (3-1, 3.47) Single A Lancaster JetHawks. RHP Brock Dykxhoorn, Goderich, Ont. (10-4, 5.02) Single A Lancaster JetHawks. 3B Abraham Toro-Hernandez, Greenfield Park, Que. (.249, 0, 19) Rookie Class, Greenville Astros. 2B Louis-Phillipe Pelletier, Montreal, Que. (.192, 1, 4) Rookie Class, Gulf Coast Astros. LHP Connor Lillis-White, Toronto, Ont. (1-0, 3.00) Single-A Burlington Bees; (0-0, 2.08) Rookie-Class Orem Owls; (0-0, 2.08) Rookie Class, AZL Angels. X-C Maxx Tissenbaum, Toronto, Ont. (.219, 1, 7) Single-A Greensboro Grasshoppers. C Dustin Houle, Langley, BC (.204, 1, 18) Single A, Brevard County Manatees; (.167, 0, 1) Double-A Biloxi Shuckers. INF-DH Malik Collymore, Mississauga, Ont. (.167, 0, 4) Single A Brevard County Manatees. OF Demi Orimoloye, Orleans, Ont. (.205, 5, 17) Rookie Class Helena Brewers. RHP Jeremy Newton, Toronto, Ont. (0-2, 10.80, two saves) Rookie Class, AZL Brewers. LHP Andrew Albers, North Battleford, Sask. (10-6, 3.64) Triple A, Rochester Red Wings. X-INF Stephen Wickens, Whitby, Ont. (.200, 3, 5) Triple A, Rochester Red Wings. RHP Jordan Balazovic, Mississauga, Ont. (2-1, one save, 1.97) Rookie Class, Gulf Coast Twins. LHP Matt Jones, Whitby, Ont. (0-2, 17.18) Rookie Class, Gulf Coast Twins. R-Jim Henderson, Calgary, Alta. (0-2, two saves, 4.50) Triple-A Las Vegas; (0-1, 15.43) Double A, Binghamton Mets. LHP Kurtis Horne, Sooke, BC (1-0, 8.78) Rookie Class Kingsport Mets. LHP Evan Rutckyj, Windsor, Ont. (0-0, 13.50) Double A, Trenton Thunder; (1-0, 0.00) Single-A Staten Island Yankees; (0-0, 1.50) Rookie-Class Gulf Coast Yankees. LHP Jeff Degano, Surrey, BC (0-0, 25.77) Rookie Class, Pulaski Yankees. OF Brett Siddall, Windsor, Ont. (.241, 9, 60) Single A, Beloit Snappers. RHP Marc Berube, Trois Pistoles, Que. (0-1, 4.85) Single A, Vermont Lake Monsters; (0-1, 15.43) Single A, Beloit Snappers. RHP Nick Pivetta, Victoria, BC (1-2, 2.55) Triple-A Lehigh Valley Iron Pigs; (11-6, 3.41) Double A, Reading Fightin’ Phils. RHP Jesen Dygestile-Therrien, Montreal, Que. (1-1, 3.71) Double-A Reading Fightin' Phils' (2-2, 2.21, four saves) Single A, Clearwater Threshers; (0-0, 0.00) Rookie Class Gulf Coast Phillies. OF Ben Pelletier, Varennes, Que. (.220, 0, 5) Rookie Class, Gulf Coast Phillies. RHP Jameson Taillon, Lakeland, Fla. (4-2, 2.04) Triple-A Indianapolis Indians. 3B Eric Wood, Pickering, Ont. (.249, 16, 50) Double A, Altoona Curve. RHP Austin Shields, Hamilton, Ont. (0-0, 8.53) Rookie Class, Gulf Coast Pirates. RHP Rowan Wick, North Vancouver, BC (0-0, 4.12) Double A, Springfield Cardinals; (2-0, 6 Saves, 1.09) Single A, Palm Beach Cardinals. INF Joey Hawkins, Whitby, Ont. (.120, 1, 4) Rookie Class, Johnson City Cardinals; (.429, 0, 2) Single-A State College Spikes; (.050, 0, 1) Double-A Springfield; (.125, 0, 1) Single A, Palm Beach Cardinals. 1B Josh Naylor, Mississauga, Ont. (.252, 3, 21) Single A, Lake Elsinore Storm; (.265, 9, 53) Single A, Greensboro Grasshoppers. RHP Cal Quantrill, Port Hope, Ont. (0-1, 17.36) Class-A Fort Wayne Tincups; (0-2, 1.03) Single A, Tri City Dust Devils; (0-2, 5.27) Rookie Class, AZL Padres. 1B T.J. Bennett, Lethbridge, Alta., class-A San Jose Giants (.284, 9, 28); Class-Augusta GreenJackets (.250, 0, 2); double-A Richmond Flying Squirrels (.250, 0, 2); triple-A Sacramento (.250, 0, 1). LHP James Paxton, Ladner, BC (4-3, 3.73) Triple A, Tacoma Rainiers. OF Tyler O’Neill, Maple Ridge, BC (.293, 24, 102) Double A, Jackson Generals. OF Gareth Morgan, Toronto, Ont. (.216, 1, 11) Rookie Class, AZL Mariners; (.385, 0, 4) Single A Bakersfield Blaze..
1B Ismael Pena, Montreal, Que. (.287, 1, 19) Rookie Class, AZL Mariners. RHP Jared Mortensen, Abbotsford, BC (7-7, 5.23) Double A, Montgomery Biscuits. RHP Reign Letkeman, Red Deer, Alta. (1-3, 5/19, three saves) Rookie Class, Gulf Coast Rays. C Kellin Deglan, Langley, BC (.194, 9, 27) Double A, Frisco Roughriders. INF Charles Leblanc, Laval, Que. (.285, 1, 15) Single A Spokane Indians. Scott Diamond, Toronto, Ont. (9-15, 4.50) Triple A, Buffalo Bisons. Dalton Pompey, Mississauga, Ont. (.270, 4, 28) Triple A, Buffalo Bisons. X-RHP Chris Leroux, Montreal, Que. (8-11, 4.87) Triple A, Buffalo Bisons. LHP Shane Dawson, Drayton Valley, Alta. (10-4, 4.29) Double A, New Hampshire Fisher Cats. C Mike Reeves, Peterborough, Ont. (.244, 3, 16) Single A, Dunedin Blue Jays. RHP Tom Robson, Ladner, BC (0-4, 7.50, one save) Single A Lansing Lugnuts; (1-2, 6.48) Single A, Dunedin Blue Jays. C-1B Justin Atkinson, North Surrey, BC (.190, 5, 47) Single A, Lansing Lugnuts. RHP Andrew Case, St. John, NB (0-2, 2.28, 10 saves) Single A, Lansing Lugnuts: (0-0. 0.00) Rookie-Class Gulf Coast Blue Jays. INF Connor Panas, Toronto, Ont. (.231, 17, 50) Single A, Lansing Lugnuts. R-RHP Jordan Romano, Markham, Ont. (3-2, 1.98) Single A, Lansing Lugnuts. R-2B Mattingly Romanin, Burlington, Ont. (.229, 1, 7) Single A Vancouver Canadians. C Owen Spiwak, Mississauga, Ont. (.000, 0, 0) Single-A Vancouver Canadians; (.164, 1, 2) Rookie Class, Gulf Coast Blue Jays. INF Vladimir Guerrero, Montreal, Que. (.271, 8, 46) Rookie Class, Bluefield Blue Jays. RHP Brayden Bouchey, White Rock, BC (1-0, 2.57) Rookie-Class Bluefield Blue Jays; (1-0, 5.40) Rookie Class, Gulf Coast Blue Jays. 3B-1B Matt Hague, Toronto, Ont. (.231, 2, 11) Hanshin Tigers. RHP Scott Mathieson, Abbotsford, BC (8-3, 2.34, one save) Yomiuri Giants. OF-1B Jamie Romak, London, Ont. (.116, 0, 2) Yokohama DeNA Baystars. S-OF Jim Adduci, Burnaby, BC (.291, 7, 41) Lotte Giants. 1B David Burns, Vernon, BC (.299, 1, 16) Attnang-Puchheim Athletics. INF-Coach Devery Van de Keere, Barrhead, Alta. (.438, 5, 22) Dornbirn Indians. LHP Tyson Walker, White Rock, BC (5-0, 1.75) London Mets. RHP Scott Richmond, North Vancouver, BC (9-8, 4.93) EDA Rhinos. RHP Jeremy Filipek, Langley, BC (2-0, 3.21) UVV - Utrecht. C-OF Anthony Cros, Kamloops, BC (.275, 0, 9) Les Barracudas de Montpelier. RHP-1B Gregory Cros, Kamloops, BC (3-4, 3.53/.271, 0, 8) Les Barracudas de Montpelier. INF/Coach Allan Attridge, Vancouver, BC (.180, 0, 7) Tubingen Hawks. C-1B Matthew Balogh, Edmonton, Alta. (.288, 0, 5) Tubingen Hawks. RHP Cody Chartrand, Nanaimo, BC (3-3, 4.54) Munchen-Haar Disciples. INF Aaron Hornostaj, Woodstock, Ont. (.378, 0, 10) Heidenheim Heidekopf. OF Mike Larson, Weyburn, Sask. (.270, 2, 26) Mainz Athletics. C Will Thorpe, Surrey, BC (.347, 2, 26) Munchen-Haar Disciples. RHP Alex Tufts, Kentville, NS (0-10, 8.73) Tubingen Hawks. OF Paul Macaluso, Toronto, Ont. (.167, 0, 0) Parma 1949 Baseball. 3B Wes Darvill, Richmond, BC (.262, 2, 41) Winnipeg Goldeyes. OF Tyson Gillies, Vancover, BC (.252, 4, 16) Kansas City T-Bones; (.261, 0, 5) Sugar Land Skeeters. X-RHP Kyle Lotzkar, Tsawwassen, BC (1-0, 4.50) Winnipeg Goldeyes. X-INF Carter McEachern, Thunder Bay, Ont. (.167, 0, 1) Winnipeg Goldeyes. RHP Dylan Rheault, Garson, Ont. (1-1, 3.97, one save) Sioux City Explorers. (0-0, 0.00) Winnipeg Goldeyes. X-RHP Eric Sim, Abbotsford, BC (0-0, 1 Save, 4.50) Winnipeg Goldeyes. X-LHP Andrew Albers, North Battleford, Sask. (1-0, 0.00) Lancaster Barnstormers. C Mike Blanke, Granby, Que. (.251, 10, 51) Long Island Ducks. OF Michael Crouse, Port Moody, BC (.291, 9, 57) New Britain Bees; (.268, 0, 7) Lancaster Barnstormers. OF Rene Tosoni, Coquitlam, BC (.299, 6, 38) Sugar Land Skeeters. LHP Guillaume Blanchette, St. Constant, Que. (1-4, 1 save, 5.40) Trois Rivieres Eagles. OF Sebastien Boucher, Ottawa, Ont. (.291, 8, 55) Ottawa Champions. RHP Andrew Cooper, Belle River, Ont. (2-2, 1 Save, 4.35) Ottawa Champions. X-RHP Jon Fitzsimmons, London, Ont. (1-0, 13 Saves, 1.25) Quebec Capitales. 3B Lachlan Fontaine, North Vancouver, BC (.239, 3, 32) Quebec Capitales. RHP Eric Gagne, Mascouche, Que. 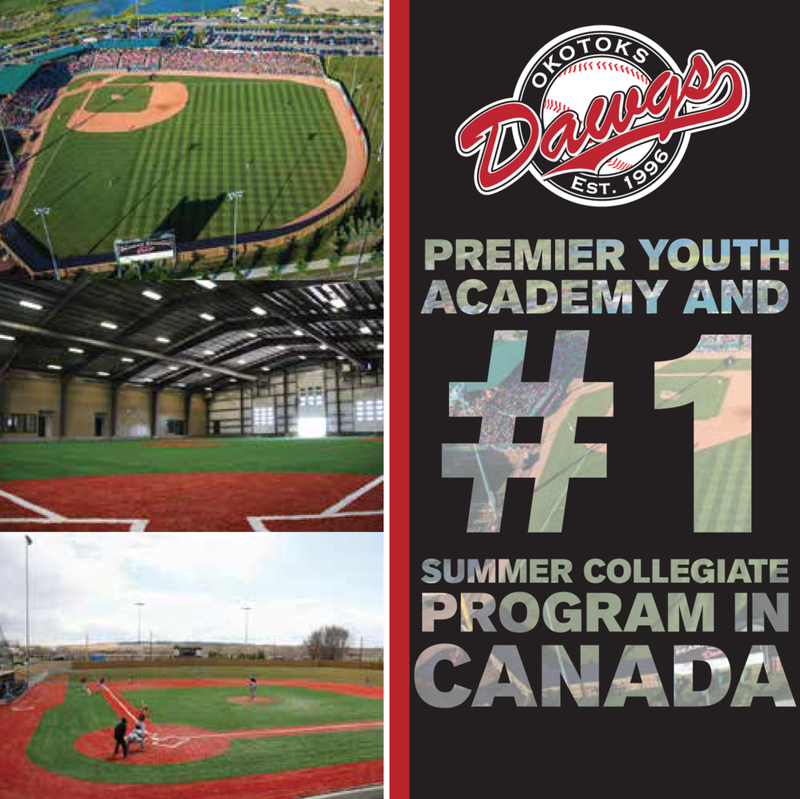 (0-0, 1.80) Ottawa Champions. RHP Karl Gelinas, Iberville, Que. (7-7, 3.68) Quebec Capitales. X-C Simon Gravel, Montreal, Que. (.187, 1, 5) Trois Rivieres Eagles. X-OF Trevor Gretzky, Thousand Oaks, CA (.228, 0, 7) Quebec Capitales. X-INF Jalen Harris, Toronto, Ont. (.250, 0, 2) Trois Rivieres Eagles. X-RHP Steven Inch, Edmonton, Alta. (1-1, 4.62) Quebec Capitales. OF Marcus Knecht, Toronto, Ont. (.259, 8, 49) Quebec Capitales. 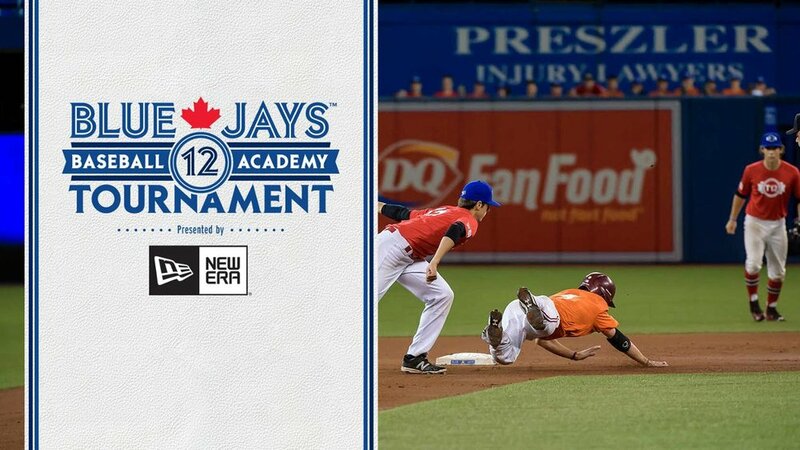 INF/OF Reed Lavallee, North Delta, BC (.211, 0, 7) Trois Rivieres Eagles. S-RHP David Leblanc, Beaconsfield, Que. (2-2, 5.93) Trois Rivieres Eagles. X-RHP Guillaume Leduc, Boucherville, Que. (0-0, 16.87) Quebec Capitales. 1B Jordan Lennerton, Langley, BC (.301, 9, 62) Quebec Capitales. INF Jonathan Malo, Laval, Que. (.283, 6, 42) Quebec Capitales. LHP Sheldon McDonald, Spruce Grove, Alta. (3-7, 5.52) Quebec Capitales. OF Tanner Nivens, Kitchener, Ont. (.303, 0, 4) Quebec Capitales. RHP Jasvir Rakkar, Brampton, Ont. (10-3, 2 Saves, 4.99) Quebec Capitales. C Maxx Tissenbaum, Toronto, Ont. (.326, 7, 47) Quebec Capitales. X-RHP Philippe Valiquette, St. Laurent, Que. (0-1, 2.84) Trois Rivieres Eagles. X-INF Cedric Vallieres, Roxton Pond, Que. (.083, 0, 0) Quebec Capitales. RHP David Hatt, Toronto, Ont. (2-1, 2.70) Watertown Bucks. C Larry Balkwill, Chatham, Ont. (.228, 4, 17) Windy City Thunderbolts. INF Carter Bell, Courtenay, BC (.312, 13, 73) Joliet Slammers. X-INF Kevin Czarnecki, Edmonton, Alta. (.000, 0, 0) Normal Cornbelters. R-LHP Donovan Feenstra, Calgary, Alta. (0-0, 9.52) Joliet Slammers; (0-0, 54.00) Trois Rivieres Eagles - Can Am League. X-OF-C Chris Robinson, Uxbridge, Ont. (.197, 2, 10) Schaumburg Boomers. RHP Aldo Ferrante Toronto, Ont. (0-0, 24.42) Pittsburg Diamonds. INF Ian Horne, Vancouver, BC (.354, 0, 30) Topeka Train Robbers. RHP Skylar Janisse, Maidstone, Ont. (6-3, 5.52) Salina Stockade. RHP Kyle McKay, King City, Ont. (3-1, 1.22) Trinidad Triggers; (0-0, 13.50) Traverse City Beach Bums - Frontier League.